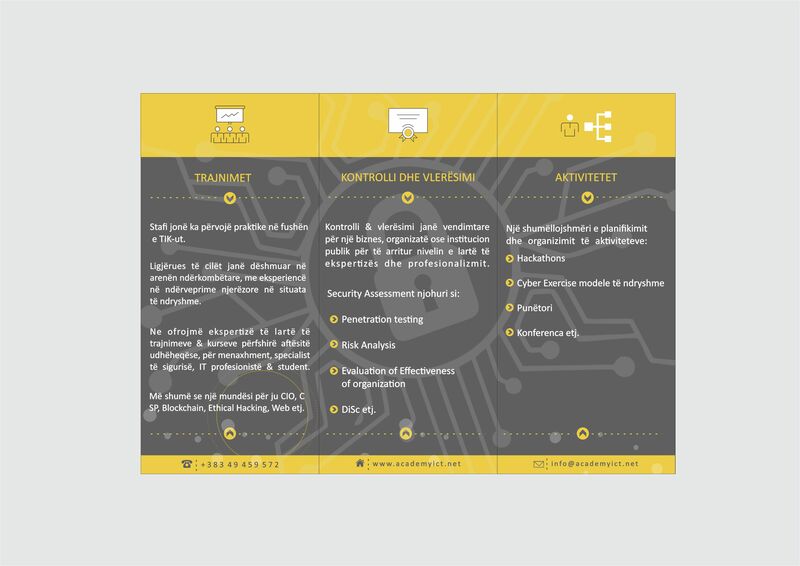 Academy ICT provides a large range of services on a national & international arena in the ICT field including Security, brochure of services here. You can apply for training / course, the date of holding / tuition fees etc are flexible. Assessments are crucial for a business, organisation or public institutions to achieve high level of expertise and professionalism. Academy ICT provide a variety of planning & organizing activities on our site or customer site, by following all project management phases and making evaluation of it.